Almost one year to the day after they signed a letter of intent to forge a partnership, RWJBarnabas Health and Rutgers University officially launched a new academic and research health system. The public-private partnership is expected to lead to 100 new medical research positions and will embed Rutgers' medical students and faculty in RWJBarnabas' facilities. It's not a merger, but the two organizations will create a medical group. RWJBarnabas, which operates 11 hospitals in New Jersey, is committing $100 million this year to the joint effort and $1 billion over the next 20 years. 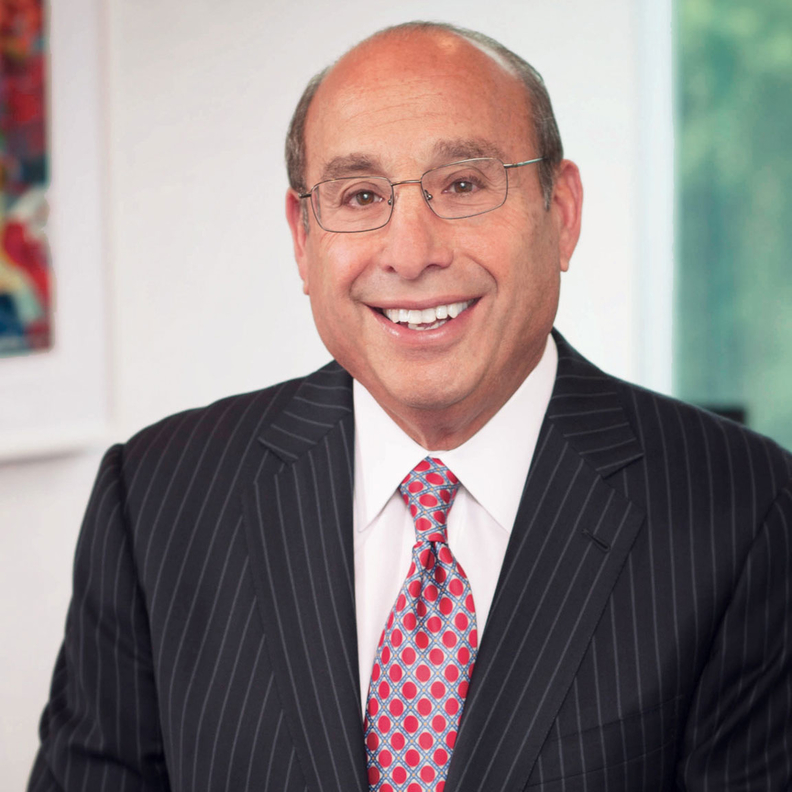 Modern Healthcare Managing Editor Matthew Weinstock talked with RWJBarnabas CEO Barry Ostrowsky about the partnership. The following is an edited transcript. MH: Why did you feel like now is the time for RWJBarnabas and Rutgers to come together? Ostrowsky: From my perspective, and I think that of my colleagues, we don't believe we can be the healthcare leader we want to be unless we have a fully integrated relationship with education and research. Rutgers University, which happens to be my alma mater, is a new owner of medical schools, and while it's been conducting research over the years, it never has had the resources to invest in medical research, it hasn't had sufficient resources to build the medical schools which, as you know, are financial losers. We are the biggest healthcare system in New Jersey, taking care of at least 5 million people in our service area, and if we don't have strong medical schools and don't have a strong pipeline for those who are being trained, if we don't do a sufficient amount of medical research, we're not going to be able to effectively pursue the mission we wanted. This has been on our minds for some time. Historically around the country, these kinds of arrangements have taken five years (to finalize) from the day you sign a letter of agreement. We didn't want that, so we put it in high gear, that we'd have a definitive agreement in 12 months. Believe me, there were plenty of nights where I didn't think that was going to happen. I was truly gratified to see how much Rutgers wanted and understood that it could benefit from a relationship with us. It's a state school, which made it look more difficult. It has 16 unions, but we overcame all those obstacles. So, now you have a big research university with a significant amount of new resources to invest in academics and medical research. We now have the ability to manage the faculty when they see patients. We don't own the faculty and we don't direct them for academics, but when they see patients, that's where our management expertise lies. Rutgers has done phenomenal research on social determinants and all aspects of vulnerable communities on food insecurity. They have an institute for that, so one of the points of synergy is our commitment to vulnerable communities and social determinants has been raised by way of the intellectual prowess at Rutgers. MH: So funding for this partnership will come from savings that you've had over time? MH: Why not reinvest that into social determinants or population health directly? Ostrowsky: You point out an issue that we wrestled with when we decided to do this. Would this preclude investment in other priorities? Our priorities clearly are social determinants and community investment—they are the facilities that we have, the new venues we have to construct; we certainly need to invest in information technology and consumerism. What we found is it's not going to include new 500-bed hospitals. It's not going to include the brick-and-mortar type of investment that historically has been the case. We could conceivably have said forget the academic investment to invest more in innovation, but in my view, and particularly when it comes to certain innovation investments, this is a more important investment. If we put a billion dollars into Rutgers in a way that we have designed, that money will have a much greater impact than if we alone took a couple of hundred million dollars and invested it in innovation. MH: Do you feel that the money you're investing in the partnership will help you get to those healthier communities quicker and more efficiently than if you had invested directly into a population health platform? Ostrowsky: Yes, but we're doing both. We had already begun to work with Rutgers on issues like economic development and food security. But Rutgers has the wherewithal intellectually outside of the medical aspects to help us understand even more-effective ways to do that. MH: How are you addressing concerns that some of the state unions have had with this deal? Ostrowsky: At the risk of implying that others aren't, we're perfectly transparent. There's no secret plan. My experience in life has been that no matter how contentious something is, there's nothing so dangerous that you can't talk about it so as long as you're being honest. And there's only one set of facts. We have a series of meetings scheduled now that this affiliation is signed, where we'll be sitting down with a variety of interest groups, whether they be organized faculty, or labor directly, and laying out what we're talking about. MH: What are you seeing in terms disruption in the industry that's working and what have you been doing that you feel like could translate out into the rest of the industry? Ostrowsky: I have a debate with some of my colleagues as to whether we could disrupt ourselves. And you have to understand that New Jersey is a blinding glimpse of the past—no at-risk contracts. Zero. I want to take custody of people. So right now we're teaching ourselves, little by little, first with our own employee health plan. Let's look at geriatrics and assume we had custody of this life. What would you do first, if someone came to you and said, “Here's an 82-year-old and here's $22,000.” What's the first thing you do? Go to her home. See how dangerous it is, because we know she's going to be in the ED with a broken pelvis in three months. Take some of that money and change the lighting and change the rugs. No one taught that in medical school. MH: When you talk about taking custody of the patient, if you're doing that in a noncapitated, no-risk environment, how does that play out for you? Ostrowsky: It doesn't, but we're going to have to learn to disengage from the pure financial benefit. In the vulnerable communities, we're engaging community health workers. There are people in a vulnerable community who need that kind of custodial discussion from a trusted source. The care will be better and enhance their lives, but there will be less revenue for us; it's a capital investment we're making. We have this little program in Jersey City. Our people tracked the pediatric asthma business. The same children are coming in, and they felt it was crazy for Johnny to be coming in every five or six weeks. So they did their own study and created a program to go into the homes of the Johnnys that kept coming. Not every home let us in, so that was obstacle No. 1, but we went in there and we found what you would expect. They had drapes, they had carpeting where mold was growing. We changed the environment and a year later we saw a 32% decrease in the frequent flyers of children with pediatric asthma. MH: You changed the environment? You did the mold remediation and new drapes? Ostrowsky: If we had to. We took out the things that were collecting mold. I went to an underwriter's convention and told them this story. A woman came up to me and said that she has a son, and it took them years before they found a physician who asked what's in his room. I said, “So, there you go. Think about it as an underwriter. Whatever was paid every time your son went to a physician or a healthcare professional—one and a half of those, two or three of them—you could have done this.” If we could seniorize homes, think of the money that Medicare would save. I have gone to (CMS) and they said, “Barry, there's no code to do that.” I said, “I know there's no code to seniorize, so put in a code. Just give me a code. It will be completely transparent and we'll show you, and we'll track it. What's the worst that could happen?” Not interested.